From British Columbia to California, stands of bigleaf maples are dying, leaving bald patches in the forest canopy or even denuded hillsides. 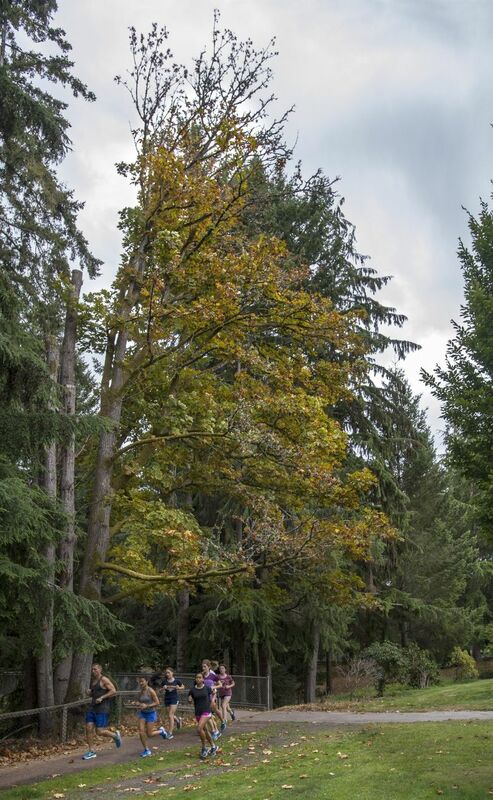 Something is killing bigleaf maples — Washington’s biggest broadleaf tree — and scientists can’t stop it. They don’t even know what’s causing it. “We’ve looked for everything we can possibly think of and what people smarter than us can think of,” said Amy Ramsey, a forest pathologist with the state Department of Natural Resources. 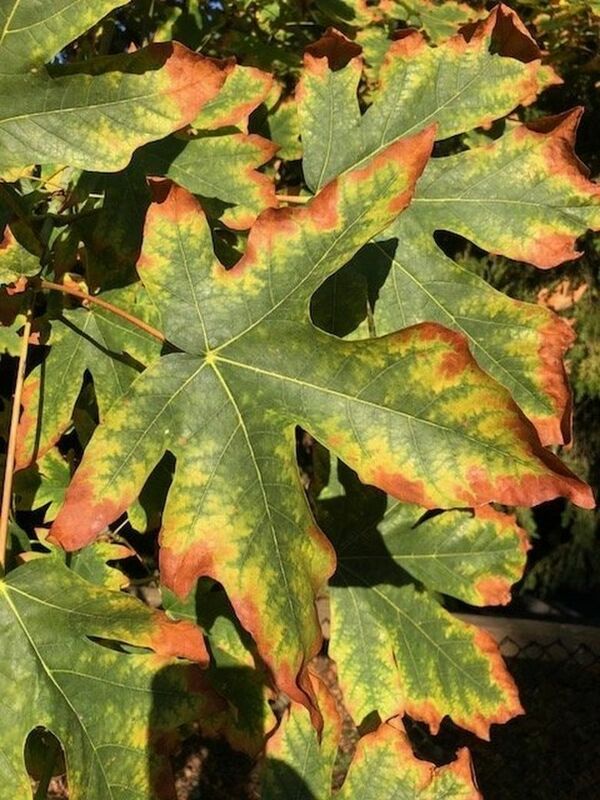 Reports of dying and dead maples first reached the DNR in 2010, Ramsey said. Foresters noticed the trees were producing small, scorched-looking leaves or none at all. Sometimes, the crown — the uppermost branches of the tree — would die. 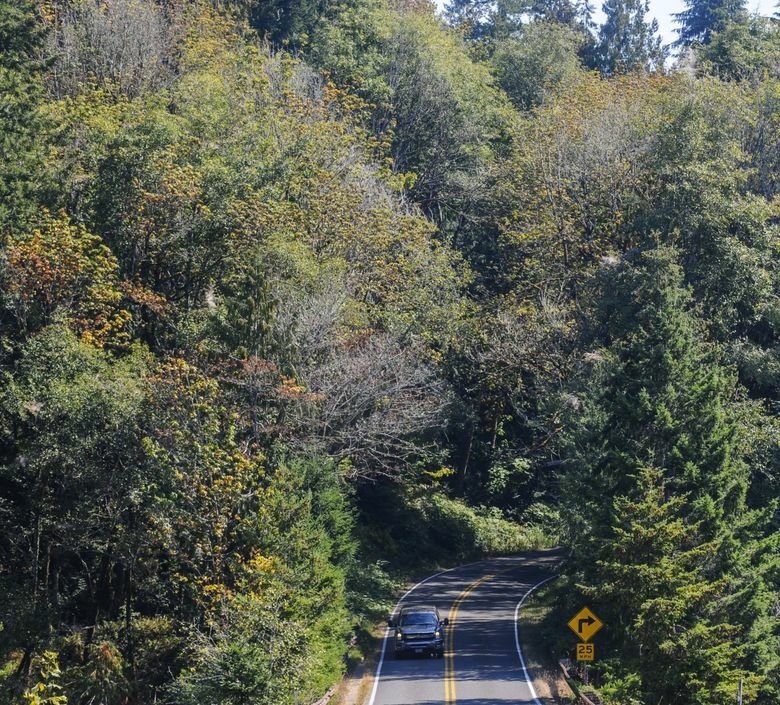 Several institutions — including the DNR, the U.S. Forest Service and the University of Washington — have been studying the maples, but no diseases or insects have been found in significant numbers to be a culprit. But across the road from the park’s new Pacific Seas Aquarium and next to a footbridge is a sickly looking bigleaf. Some branches are bare. Others have shrunken leaves. Some of the leaves are scorched — green in the middle, dead and dry on the margins. Pollinators thrive on its flowers, and animals eat its seeds. The trees provide much-needed shade for salmon-bearing streams, Bevis said. It takes three to four years for the trees to die, Vance said. The decline on her property hits trees when they are about 20 years old, she estimated. The Forest Service and the DNR launched intensive research in 2011. Ramsey and other researchers ran through the list of usual suspects in forest pathology over several years. But one by one, suspects (verticillium wilt, bacteria, root rot, beetles, blight, leafhoppers) were crossed off the list. Out-of-state researchers think Washington is the hardest-hit state, Ramsey said, but she is skeptical.